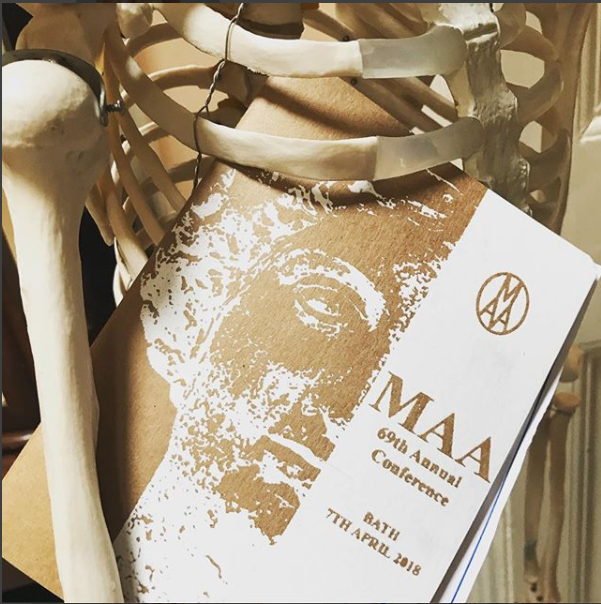 I organised the 69th Annual Medical Artists’ Association Conference on April 7th, at the Bath Pump Rooms. I’m rather pleased it all went extremely smoothly! I managed to get some really inspirational speakers and demonstrators for the day. The day started with Jenny Halstead who talked about the art she created whilst recording a year in the life of the High Sheriff of Berkshire, which was beautiful and full of character and movement. I also learnt about wig bags! Karen Wallis made everyone realize we should all spend more time with our sketchbooks in her talk as artist in residence on an archaeological dig in Orkney. Jenny Brooks and her astronomically detailed botanical and portrait miniatures was stunning! Really shows good training, discipline and patience is the key to perfection. To round off the morning talks was three mini speeches by the extremely hard working, cutting edge, talented, over intelligent, and my star MAET students Louise Hinman, Merlin Strangway and Julia Ruston. They marry their unique modern illustration techniques with their medical art and seamlessly put current tech to work for their art. The conference afternoon workshops were taught by Joanna Cameron teaching yoga life drawing and Matt Pilson teaching Yoga life sculpting! All the guests seemed to love getting their hands dirty again in the materials they love like clay, pastel and charcoal! After a short break we all trotted across the road to the Victoria art gallery for the last session of the conference. Whilst the guests were slurping Prosecco, Mandy Miller gave a talk on self promotion through social media, which opened up a lively debate and has hopefully started a new trend of communication between all of us medical artists! By 7:30pm we were all starving and finished off the evening at the Hall and Woodhouse with plenty of wine and great food! Great day all round and I was very pleased it all turned out so well.